The Indianapolis Metropolitan Police Department and the City of Southport Police Department lost outstanding police officers today and we share in their grief and sadness. IMPD Deputy Chief of Investigations Jim Waters passed away this afternoon from injuries he sustained in an off-duty car accident on Sunday. Deputy Chief Waters served Indianapolis for nearly 30 years, first as a civilian employee and then in law enforcement. Southport Police Lieutenant Aaron Allan was shot and killed this afternoon after walking up to a car that had flipped over in a crash. Aaron was selected as Southport Police Department’s 2015 Officer of the Year. Lt. Allan’s death is a painful reminder of the very dangerous job public safety officials face in protecting those they serve. Please join me in keeping these two dedicated public safety servants, their families and loved ones in your thoughts and prayers during this very difficult time. 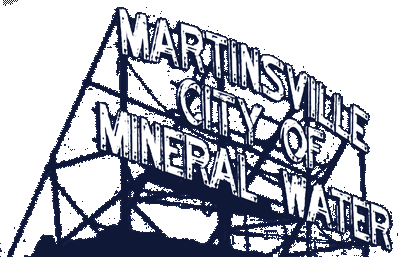 On behalf of all of us in Martinsville, we are very grateful to our courageous police officers, firefighters and EMTs for the outstanding job they do for all of us every day. Thank you so much!